The Financial Action Task Force (FATF) is consulting on a new interpretive note to one of its recommendations as part of its efforts to mitigate the money laundering and terrorism financing (ML/TF) risks associated with virtual assets. The global ant-money laundering body has included virtual assets as part of its major strategic initiatives at its second plenary meeting in Paris last week. "Recognising the need to adequately mitigate the money laundering and terrorist financing risks associated with virtual asset activities, the FATF is setting out more detailed implementation requirements for effective regulation and supervision/monitoring of virtual asset service providers [VASPs]." The FATF has therefore been working on a new interpretative note to Recommendation 15, which will be adopted as part of the FATF Standards in June 2019. Recommendation 15 stipulates that countries and financial institutions should identify and assess the ML/TF risks that may arise in respect of new products or business practices as well the use of new or developing technologies. It also stipulates that VASPs should be regulated for AML/CFT purposes, and licensed or registered and subject to effective systems for monitoring and ensuring compliance with the relevant measures called for in the FATF Recommendations. However, paragraph 7(b) of the interpretative note has not yet been finalised and is now subject to consultation. (b) R.16 – Countries should ensure that originating VASPs obtain and hold required and accurate originator information and required beneficiary information2 on virtual asset transfers, submit the above information to beneficiary VASPs and counterparts (if any), and make it available on request to appropriate authorities. It is not necessary for this information to be attached directly to virtual asset transfers. Countries should ensure that beneficiary VASPs obtain and hold required originator information and required and accurate beneficiary information on virtual asset transfers, and make it available on request to appropriate authorities. Other requirements of R.16 (including monitoring of the availability of information, and taking freezing action and prohibiting transactions with designated persons and entities) apply on the same basis as set out in R.16." The FATF invites private sector entities and other experts to comment on the paragraph by 26 April, at FATF.Publicconsultation@fatf-gafi.org or via national authorities through their FATF delegations. In October 2018, the FAFT had amended Recommendation 15 to clarify how its standards apply to activities or operations involving virtual assets. At the time, the global anti-money laundering body had said that that there was "an urgent need" for countries to take co-ordinated action to stop virtual currencies being used to finance crime and terrorism. The FATF Recommendations were issued in 2015 and set out a risk-based approach to virtual currencies as well as requirements for combating money laundering and terrorism financing. 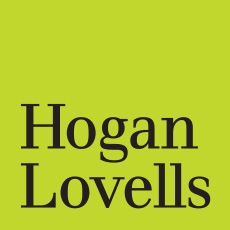 Receive free news and analysis – written by Hogan Lovells' world-leading legal teams and tailored to your preferences – by registering on Engage. You can also access our cutting-edge interactive Lawtech tools, designed to help you make better decisions and save time and money.